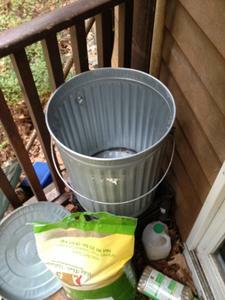 In the winter, getting out to the shed is not so easy, so, I wanted to have the birdseed in a garbage can on the back deck. Thru a series of modofactions, I made out birdseed garbage can racoon proof. I can remeber the joy of watching them be very frustated the first night I got this figured out. It has been a couple of years and it still works. 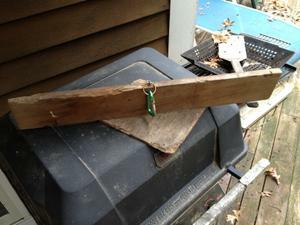 The squirrels still try often and they chew the wood. At some point I will need to replace the "bar", for lack of a better term. 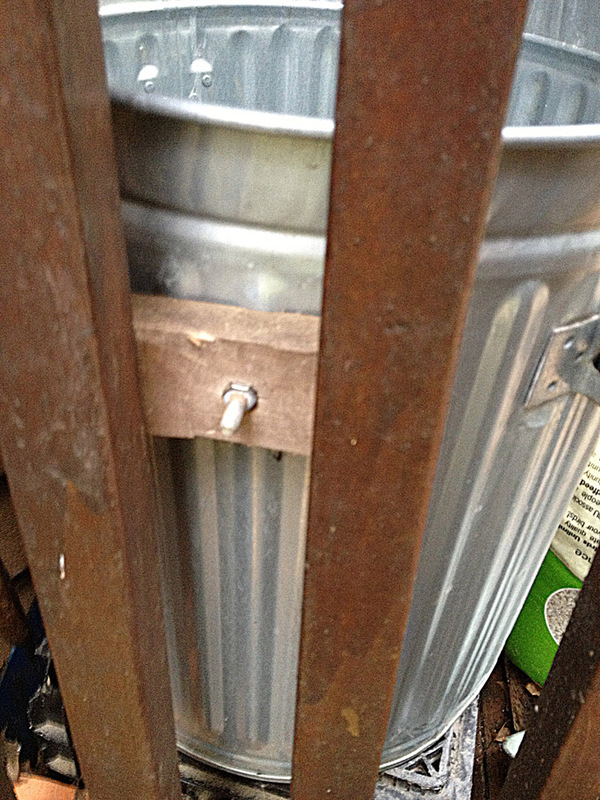 2) Fastener and something to fasten it to - in my case wing nut & bolt and a deck railing. The bar needs a flat bottom, a spacer to it fits under the handle relatively snuggly, and a way to fasten the carabiner on. The "bar", as in bar the doors. 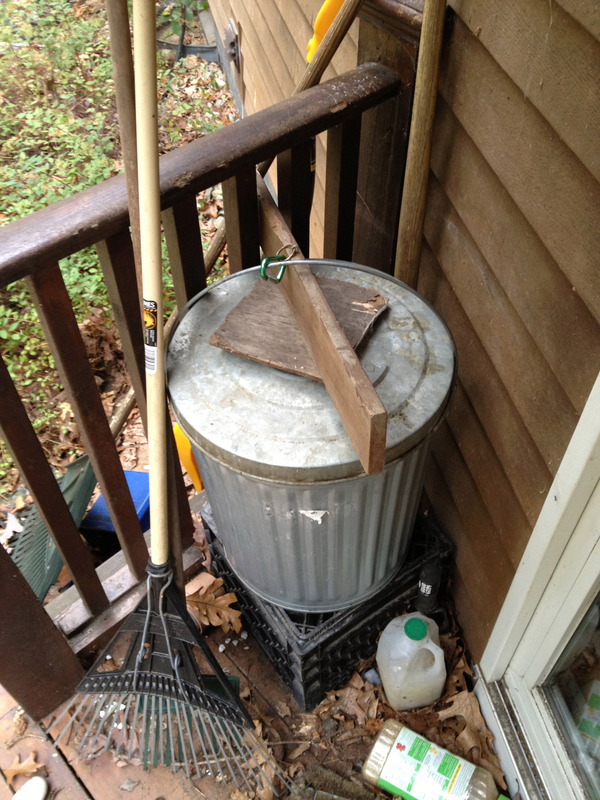 Anything that keeps to can upright will work. But, it must stay upright or the racoons just knock it over and get the goodies. 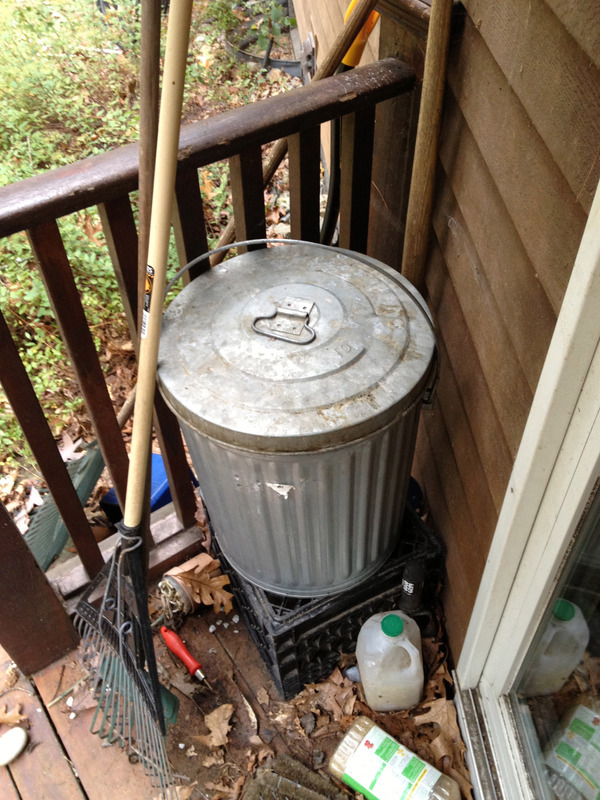 The handle of the garbage can should be at a 90 degree angle. The wing nut is useful so I can unfasten the can to wash it out. Wing nut, washer and bolt from outside.